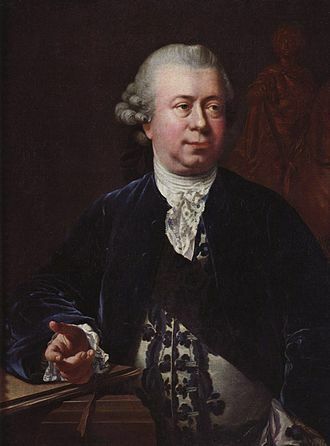 Nicolai Eigtved, also known as Niels Eigtved, (4 June or 22 June 1701 – 7 June 1754), Danish architect, introduced and was the leading proponent of the French rococo style in Danish architecture during the 1730s–1740s. 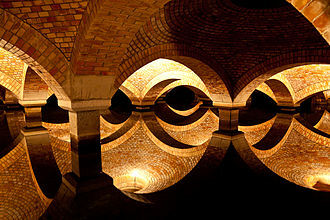 He designed and built some of the most prominent buildings of his time, a number of which still stand to this day. He also played an important role in the establishment of the Royal Danish Academy of Art (Det Kongelige Danske Kunstakademi), and was its first native-born leader. He was born Niels Madsen on the farm in Egtved village in Skjoldenæsholms Birk on the island of Zealand, Denmark to Mads Nielsen and Dorthe Hansdatter. He was trained locally as a gardener, and was promoted to a position at the Frederiksberg Palace Gardens ca. 1720. July 1723 he got an opportunity to travel out of the country as a royal gardening apprentice. 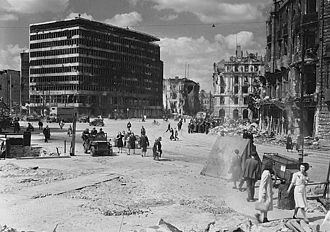 He travelled to Berlin and Dresden, among other places in Germany, earned his keep with jobs as a gardener, and learned to speak German. 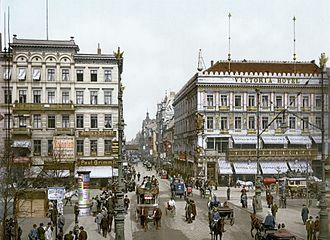 From 1725 he lived in Warsaw, Poland, where he caught the attention of German architect and draughtsman Colonel Matthäus Daniel Pöppelmann, for whom he worked for several years. 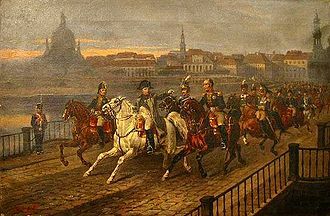 Pöppelmann was connected to the Saxon-Polish court under Frederick Augustus I, and got him a position as second lieutenant in the Saxon-Polish Engineer Corps. Eigtved had the luck to come into a rich architectural environment, which was influenced by the presence of French immigrants such as Jean de Bodt and Zacharias Longuelune. 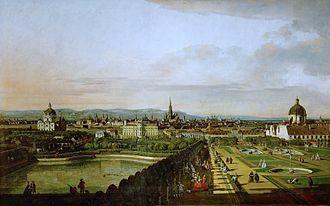 Some of Pöppelmann's assignments in those years, on which Eigtved would have probably participated, were the Augustus Bridge (Augustusbruecke) in Dresden (1728), the extension of the Japanese Palace in Dresden (1727), drafts for the three-king church in Dresden new city (1723–1739), and a new large lock for the Saxon dynasty (c. 1730). In 1730 Eigtved was promoted to lieutenant in Engineer Corps, and participated in the building of the ruler's military camp near Zeithain. 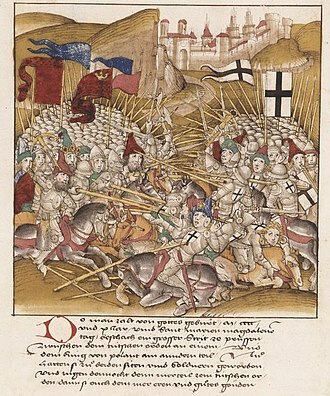 He made excellent military drawings, and became acquainted with Danish statesman General Poul Løvenørn, who after his return to Denmark interested Christian VI in Eigtved. 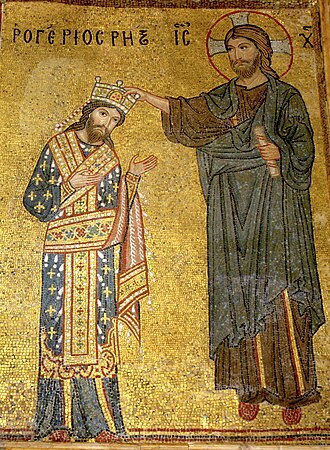 The King summoned Eigtved to Denmark, and with the title of captain he was dismissed from foreign service. Eigtved returned to Denmark in 1735 after twelve years’ absence. Building construction was at a fever pitch, with construction of Christiansborg Palace having been begun three years earlier. He was named captain in the Engineer Corps, and named royal building master with supervisory responsibility for Jutland and Funen in 1735. 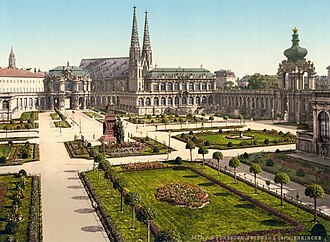 Thus began a lifelong rivalry with colleague Lauritz de Thurah, another royal building master and the leading proponent of baroque architecture at the time. 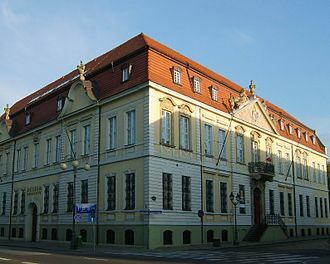 Eigtved became the king's preferred architect, and Eigtved's rococo style was the preferred building style. As a result, de Thurah was often overlooked, while Eigtved got the best assignments. He participated along with German architect Elias David Hausser and Lauritz de Thurah in the interior construction of Christiansborg Palace, with wood sculpting by Louis August le Clerc. Eigtved and de Thurah, for the most part, divided up the interior assignments. Eigtved designed the king's apartments, the main staircase, the chapel's interior, the riding grounds, and the Marble Bridge (Marmorbroen) and its two pavilions, and gave the castle its delicate Louis XIV style. Most of Eigtved's accomplishments at Christiansborg were lost in the fire of 1794. At the same time Eigtved and de Thurah switched areas of responsibilities, where de Thurah gave up Copenhagen and the island of Zealand, in exchange for Eigtved's Jutland Peninsula. In 1742 Eigtved was promoted to lieutenant colonel in the Engineer Corps, became a member of the Building Commission, and took over the role of leading architect for Christiansborg Palace from Hausser. Eigtved designed and built, along with Boye Junge, The Prince's mansion in Frederiksholm's Canal, 1743–1744, for the Crown Prince Frederik V. The building is now the National Museum (Nationalmuseet). 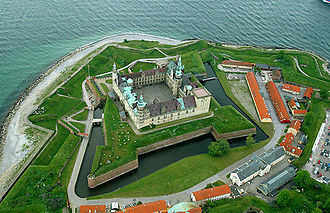 At the same time, he also designed a mansion for Schulin of the Building Commission in Frederiksdal. On 24 May 1743, he married Sophie Christine Walther, chambermaid to Princess Louise, at Frederickborg Castle Chapel. They had seven children, but only three lived to adulthood. Around this same time he came in contact with the Drawing and Painting Academy (Tegne- og Malerakademiet), predecessor to the Royal Danish Academy of Art (Det Kongelige Danske Kunstakademi). Until then the Academy has had an impoverished existence with weak leadership. Eigtved overtook administrative responsibility for the Academy in 1745 after Hieronimo Miani’s departure as leader from Denmark. The Marble Bridge at Christiansborg was completed in 1744. He was named Church Inspector for Copenhagen, Kronborg, Antborskov, Vordingborg and Tryggevælde district in 1745. 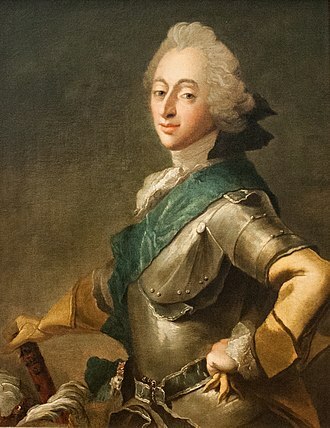 In 1746 Frederik V ascended to the throne, and along with him came the powerful statesman and leader Court Marshal (Hofmarshal) Adam Gottlob Moltke, who became Eigtved's proponent in the court. On 28 December 1747 he made a proposal to create a stronger foundation for the Academy, which was approved by the King on 12 February 1748. In this way Eigtved took control of the Academy as its first strong administrator, and the first Dane in a leading position. In late summer 1748 the Academy moved to the floor above the Crown Prince's stables at Christiansborg Palace, where Eigtved also had his official offices. 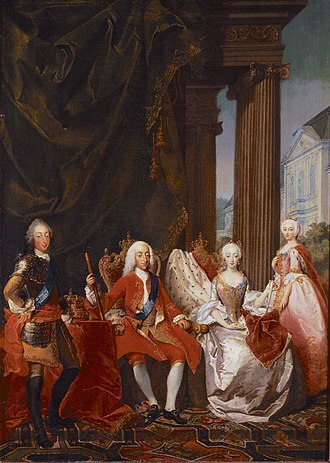 In 1748 it was 300 years since the Oldenburg family took the throne in Denmark, and in 1749 the 300-year jubilee of the coronation of Christian I of Denmark was commemorated with the establishment of a new district in Copenhagen called Frederiksstad. Heading the project was Moltke, and Eigtved was architect. 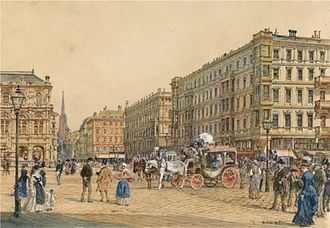 The new Frederiksstaden district was built on the former grounds of Amalien Garden (Amalienhave), and became a fine example of European rococo architecture. At the center of the district lay the four palaces at Amalienborg, including the Moltke Palace, today known as Christian VII's Palace, surrounding the octagonal Amalienborg Plaza. In the middle of the plaza Moltke's Danish Asiatic Company erected a monumental equestrian statue of Frederick VI designed by Jacques François Joseph Saly. The four palaces surrounding the plaxa were identical from the outside, but different on the inside. Moltke's Palace was the most expensive, and had the most extravagant interiors. Its Great Hall (Riddersalen) is acknowledged widely as perhaps the finest Danish rococo interior. Eigtved also designed and built in the Frederikstaden district Frederiks Hospital, now the Danish Museum of Applied Arts (’’ Kunstindustrimuseet’’). Eigtved also led building work on one of the masterpieces of Frederiksstad— the centrally located Frederik's Church (Frederikskirke), now known as The Marble Church (Marmorkirken). Moltke, who was also director for the Danish Asiatic Company, had Eigtved design a warehouse for the company on Christianshavn. The building called Eigtved's Pakhus was built 1748–1750. During this same period of time Eigtved also worked on the expansion of Moltke's estate Bregentved, which had been given to him by the King after his ascension to the throne. He was promoted to colonel in the Engineer Corps in 1749. Eigtved became the Art Academy's first director in 1751. But the winds of artistic change were already blowing, and Eigtved's rococo style, which had been popular for so long, was about to suffer with the absolutist King's change of interest. On 30 March 1754, on the King's thirtieth birthday, the Academy moved to Charlottenborg, and became dedicated as the Royal Danish Academy of Art, after inspiration from France's Académie française. Eigtved was snubbed at the Academy of Art's opening ceremony when professor and royal portraist Carl Gustaf Pilo gave the welcoming speech to King Frederick V, not Eigtved. 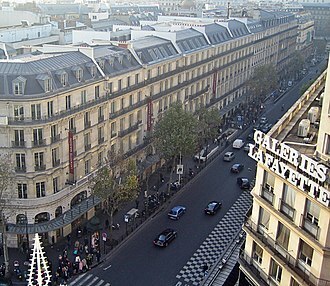 Eigtved was removed from the Director's position a few days later, and the directorship went to Frenchman sculptor Jacques Francis Joseph Saly. Also on the same day that the Academy was moved to Charlottenborg, the Eigtved-designed Moltke Palace was officially dedicated by the king. Eigtved died two months later on 7 June 1754 in Copenhagen. At his death two of the four Amalienborg Palaces were complete, the two western palaces. The work that he had begun was continued by de Thurah strictly according to Eigtved's plans. 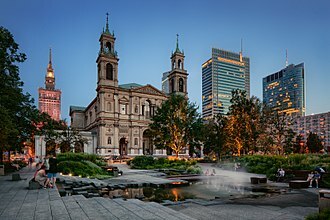 The palaces were finally completed in 1760. de Thurah tried unsuccessfully to get project leadership of the work on Frederick's Church, but was denied that role, which went instead to Nicolas-Henri Jardin on 1 April 1756. 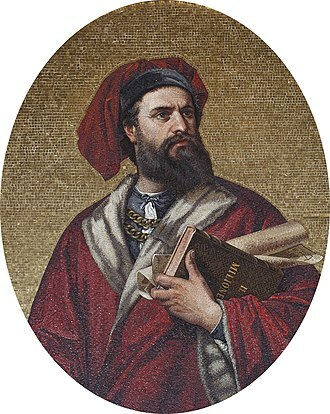 He stands along with Laurids de Thurah as the leading architect of his time. His death probably saved him from the same type of long, agonizing downfall, as de Thurah had suffered, when his rococo style gave way to the King's newly preferred neoclassicism and his newly preferred architect, Nicolas-Henri Jarden. Eigtved also built Sophienberg Palace in Rungsted, the old Royal Danish Teatre, and in 1753 helped extend Fredensborg Palace by adding four symmetrically positioned corner pavilions with separate copper pyramid-shaped roofs to the main building. Count Adam Gottlob Moltke was a Danish courtier and diplomat, and Favourite of Frederick V of Denmark. Moltke was born at Riesenhof in Mecklenburg and his son, Joachim Godske Moltke, and his grandson, Adam Wilhelm Moltke, served as Prime Minister of Denmark. Adam Gottlob Greve Moltke was born 10/11 November 1710 to Joachim von Moltke, in 1722, through one of his uncles, young Moltke became a page at the Danish court, in which capacity he formed a lifelong friendship with the crown prince Frederick, King Frederick V. As the companion of the king, Moltkes influence grew to the point that foreign diplomatists declared he could make and unmake ministers at will. 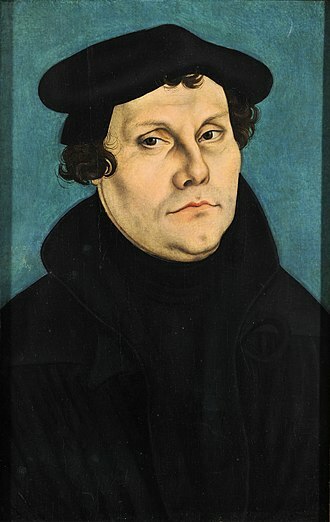 Especially notable is Moltkes attitude towards the two distinguished statesmen who played the parts during the reign of Frederick, Johan Sigismund Schulin. 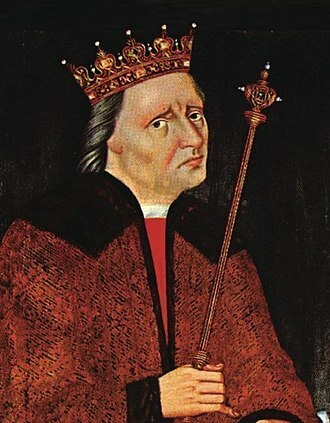 Schulin he revered, but Bernstorff irritated him with his affected airs of superiority, one of his main tasks was to take care that his dissolute Majesty didnt damage the Royal households reputation with his constant orgies. Moltke was less liberal in his views than many of his contemporaries and his greatest merit, was the guardianship he exercised over the king. On the death of Queen Louisa, the king would have married one of Moltkes daughters had he not peremptorily declined the dangerous honor, on the death of Frederick, who died in his arms on 14 January 1766, Moltkes influence came to an end. 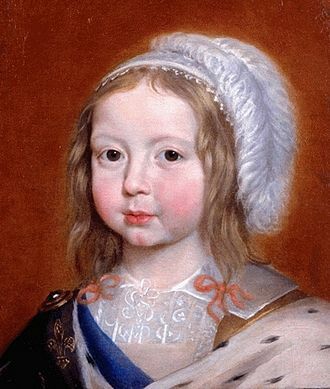 The new king, Fredericks son, Christian VII, could not endure him, at that time Moltke was unpopular, because he was, suspected of enriching himself from the public purse. Therefore, in July 1766, Moltke was dismissed all his positions. On 8 February 1768, through the interest of Russia, to whom he had always been sympathetic, he regained his seat in the council, as Christian VIIs reign was marked by mental illness, he was heavily influenced by his personal physician Johann Friedrich Struensee. Streunesee had risen steadily in power and from 1770 to 1772, was de facto regent of the country, on 10 December 1770, Moltke was again dismissed without a pension for refusing to have anything to do with the liberal Struensee. 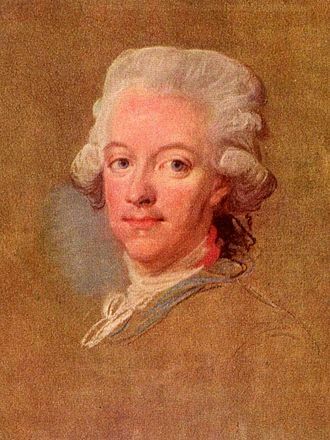 He was married to Christiane Frederikke von Brüggemann, after her death, he married Sophie Hedevig von Raben, the daughter of Christian Frederik von Raben, the Gouverneur of the Diocese of Lolland–Falster from 1737 to 1763. Between his two wives, Moltke was said to have had 22 sons, five of whom became cabinet ministers, four who became ambassadors, Christian Frederik Moltke Catharine Sophie Wilhelmine Caroline Moltke, who married Count Hannibal Wedell in June 1752 married at Hirschholm Palace. From 1748 to 1749, the district of Frederiksstaden was built by King Frederick V to commemorate the tercentenary of the Oldenburg familys ascent to the throne of Denmark. 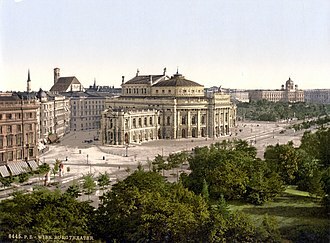 The project consisted of four identical mansions, built to house four distinguished families of nobility from the royal circles, moltke’s mansion, which was erected in 1750–54, was the most expensive of the four palaces at the time it was built, and had the most extravagant interiors. 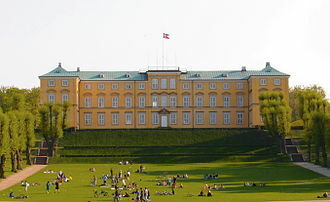 The mansion formally opened on 30 March 1754, the King’s thirtieth birthday, on 26 February 1794, the Royal Family found itself homeless after the Christiansborg Palace fire. He began his training as a sculptor at nine years of age under local master Antoine Gilles in Valenciennes from 1726-1727. In spite of his parents income, he was sent to Paris in 1732 to train in the studio of the leading sculptor at Paris. At the same time he attended the school of the Académie royale de peinture et de sculpture and he first received his stipend in 1740, and he arrived in Rome on 13 October 1740. He stayed there for eight years between 1740–1748, and lived at the Academy, the goal here was that through the study of antiquities and the masters of the past, one would develop and refine ones artistic taste. More practically it meant making marble copies of Roman sculpture for the French king, in 1742 he made a monumental portrait bust of Manuel Pinto de Fonseca, Grand Master of the Order of Malta. In 1744 he made a bust of a girl which is one of the most reproduced sculptures from the 18th century. He became one of the first French members of the Accademia degli Arcadi in Rome 1744, and of the Academy of Design at Florence, in 1748 and he had close relations with Giovanni Battista Piranesi. 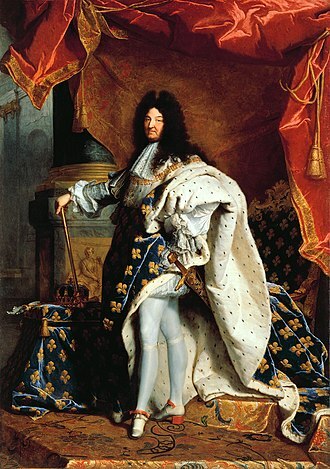 He traveled back to his home via Naples and Bologna, the works he had sent home had received such positive attention that his hometown commissioned a full standing portrait of King Louis XV from him. The marble statue was erected in 1752, and destroyed in 1792, a plaster bust of Louis XV was made that same year. He went on to Paris, where he became a member of the Académie royale de peinture et de sculpture in 1751 with his work A Fawn with a Kid and he was assistant professor at the Académie 1751-1753. He exhibited at the Paris Salons, 1750-1751 and 1753 and he created a plaster bust of Madame de Pompadour in 1752, and a statue of Amor for her the next year. 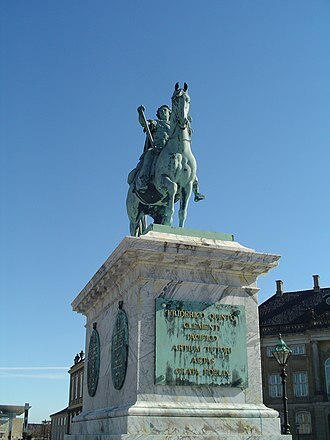 In 1752 Saly was commissioned to create a sculpture of King Frederick V of Denmark on horseback to be placed in the center of the courtyard of Amalienborg Palace. The equestrian statue was commissioned by Adam Gottlob Moltke, head of the Danish Asiatic Company, but while Moltke’s company offered to finance the statue, it was the government, who chose the sculptor.